Congratulations to Glynn and Robert Murray, members of the Canadian-American Chamber of Commerce and owners and operators of Architectural Bling, for receiving an award for Best Architectural Element 2014 at the recent American Society of Interior Designers. 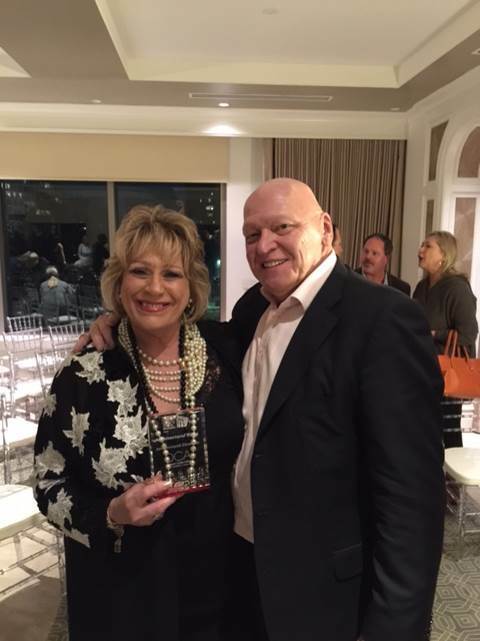 The awards were presented at Residences of Stoneleigh on Friday, January 29, 2015. After only eight months in business, Architectural Bling turns heads in the industry. Architectural Bling produces moldings for interior design from recycled and recyclable materials. They also produce crown moldings in sizes unmatched by competitors using traditional materials. AB also produces products for both the commercial and residential markets and their products can be found in the renovation and construction projects throughout the Dallas area. For more information on Architectural Bling, visit their website at http://www.ArchitecturalBling.com or visit them in the Dallas Design District. By dfwcanadianchamber in Uncategorized on March 9, 2015 .